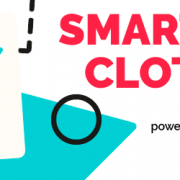 Who will be the Smart Clothing Genius this year? The look out for innovative Wearable Technologies (WT) solutions has begun together with the Innovation World Cup® Series! In the past edition, out of the 940 contestants that took part in the competition, CardioID Technologies convinced us with their idea and won the AIQ Smart Clothing Challenge! This year the winner could be you! The IOT/WT Innovation World Cup® is now welcoming techpreneurs to submit their solutions in the following categories: Home | City | Lifestyle | Industrial | Agriculture | Transport | Healthcare | Retail. The AiQ Smart Clothing Challenge, our special prize in the competition, offers the contestants a chance to boost their development from a prototype to mass production with our support! Additionally, the contestants will also become part of the leading innovation ecosystem and have the chance to win prizes worth more than 500,000 USD, including a cash prize of 10,000 Euros and valuable business connections that help them to boost their solution’s development and go-to-market approach. Each participant has the opportunity to thrive their innovation further with free development kits! Will you be the next Wearable Innovator of the Year? http://www.aiqsmartclothing.com/wp-content/uploads/2018/06/Smart-Clothing-Banner_website.png 250 644 stephanie.lin http://www.aiqsmartclothing.com/wp-content/uploads/2018/01/AiQ-_White-logo_20170630.png stephanie.lin2018-06-15 10:40:302018-06-15 10:40:30Who will be the Smart Clothing Genius this year?